When visiting a shrine, it is customary to purify your hands and mouth after passing under the torii (sacred gate). 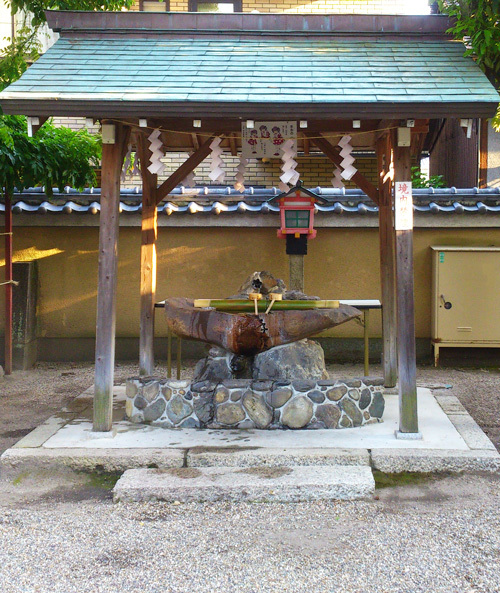 Proceed to the temizuya (a water basin used for purification) and clean your hands and mouth before approaching the main sanctuary. 1. Pick up the dipper with your right hand and fill it with water from the basin. Pour the water over your left hand to purify it. Be careful not to pour the water back into the basin. 2. This time, using your left hand, refill the dipper with water from the basin. Pour the water over your right hand. 4. Finally, lift the dipper up towards you so that the water runs down the handle and return the dipper to its original spot. 2. Clap your hands twice. 3. Keep your hands together while you pray. 4. When you are finished praying, bow deeply once more.